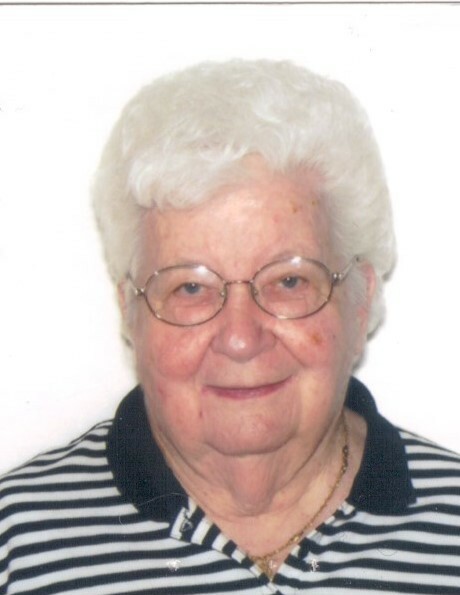 Obituary for MARY ALICE (PRENDERGAST) WINKLER | Stanley J. Krish Funeral Home, Inc.
Mary Alice Winkler, 93, Altoona, passed away peacefully Tuesday evening at her daughter's residence, surrounded by her family. She was born in Clinton, Mass., daughter of the late Joseph and Mary (O'Malley) Prendergast. On April 15, 1950, she married Leo Bernard Winkler at St. John The Evangelist Church Clinton, Mass., and he preceded her in death on April 16, 1979. Surviving are two daughters: Kathleen Grove of Altoona and Mary Ann (Matt) Webber of Bridgeville; two sons: Leo "Butch" Winkler and J. Kevin (Becky), both of Altoona; three grandchildren: Zachary (Kayla) Winkler of Altoona and Mia and Maddie Webber, both of Bridgeville; two great-granddaughters: Gemma and Penelope Winkler, both of Altoona; three step granddaughters: Linda Watt, Paula (Jeff) Ingram and Bobbi (Nick) Castellucci; and her special friend, Marge Moschella. In addition to her parents and husband, she was preceded in death by a son-in-law, Robert A. Grove; and a brother, Joseph Prendergast and his wife, Kathy. She was a 1942 Graduate of Clinton Massachusetts High School. She previously worked for the gas and electric companies in Clinton, Mass. She was a member of the Cathedral of the Blessed Sacrament, Altoona. Mary was a former member of the Columbian Circle, Saint Anthony Society and the Catholic War Vets Auxiliary. She was also a former member of St. Mark's Christian Mothers and their Choir and Kitchen Committee. She was a library aide at St. Mark's School for several years. She served as an inspector on the board of election for the 10th Ward, 1st Precinct for over 30 years. Friends will be received from 2 to 8 p.m. Friday, Jan. 18, 2019, at Stanley J. Krish Funeral Home Inc., 1204 17th St., Altoona, where a vigil for the deceased will be held Friday, during the visitation. A Funeral mass will be held at 10 am Saturday Jan. 19, 2019 at the Cathedral of the Blessed Sacrament by Msgr. Robert Mazur. Committal will be at Calvary Cemetery, Altoona.